Camping Hennesee is a beautiful lakeside destination in the lush countryside of North Rhine Westphalia. The luxury camping site is the perfect choice for nature lovers and if you are looking for an active holiday. Situated in the scenic hills of Sauerland, this gorgeous camping holiday site is close to the town of Meschede. 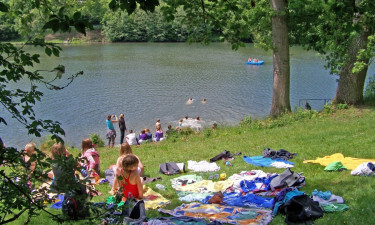 The friendly campground is a great base for enjoying hikes and bike rides, or relaxing along the shores of the Hennesee. Book your stay at Camping Hennesee with LuxCamp for a memorable luxury holiday experience. Wonderful facilities help ensure a comfortable camping holiday. With a swimming pool and sauna plus a nearby lake, there are lots of places to swim and unwind. The lake is a popular watersports destination, including windsurfing and fishing. Organised activities also entertain visitors of all ages during the high season. 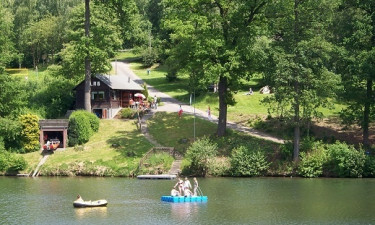 Camping Hennesee is ideal for fishing, with great opportunities at the campground and nearby. 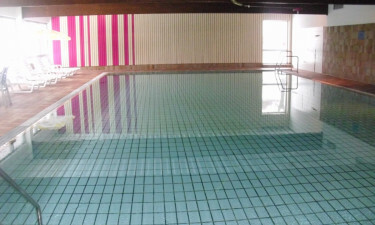 A children’s play area keeps little campers busy, while an indoor heated pool lets you swim regardless of weather conditions. There are also fantastic bike paths that provide a unique way of seeing more of the region. You are treated to fabulous services during your camping holiday at Hennesee, including a delightful restaurant serving local dishes. Enjoy a drink at the club or bar, or order from a takeaway menu. Other convenient amenities include a games room, laundry and dishwashing facilities, and a grocery shop.